Don't let them tell you the Berlin Wall fell. It was torn down. 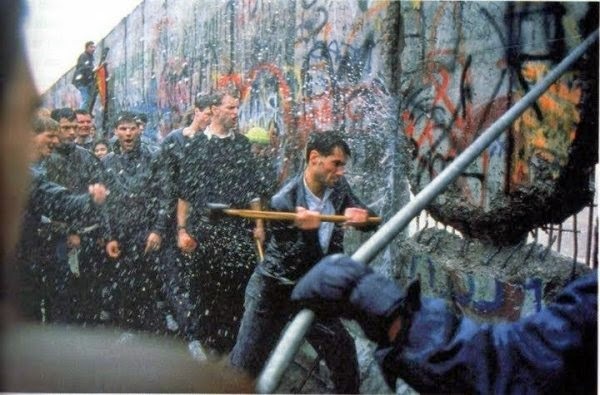 25 years ago today the Berlin Wall began to be physically torn down. It was a great day for freedom and the triumph of long years of nonviolent resistance throughout Eastern Europe. The Berlin Wall had been constructed beginning on August 13, 1961 with barbed wire fence followed by a 100 mile wall and more than 300 watch towers to spot and shoot escapees and the East German communists called it the "Anti-Fascist Protection Rampart." Minefields were laid in some sectors. In Germany, this was not a passive top down process or the Berlin Wall falling as a result of gravity and inertia. It bears repeating that it was torn down by courageous Germans. Remember that between 1961 and the very year it was torn down at least 136 Germans were extrajudicially executed by the East German border guards just for trying to cross the Berlin Wall to freedom. There is The Berlin Wall Museum that offers a complete listing of the 136 known victims with details about them and their deaths. 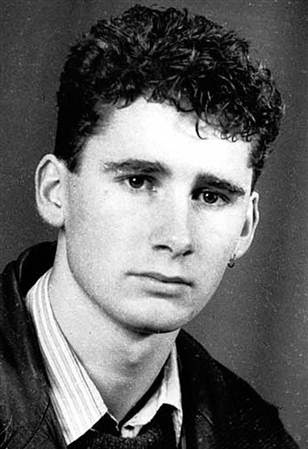 One of the last victims, Chris Gueffroy was born on June 21, 1968 and shot dead on February 5, 1989 trying to cross on the Britzer Zweigkanal, near the small garden colonies “Harmonie“ and “Sorgenfrei” on the sector border between Berlin-Treptow and Berlin-Neukölln. Dead at 20 years of age for the crime of wanting to live in freedom. A memorial column commemorating Chris Gueffroy was erected at Britzer Zweigkanal in Berlin-Treptow in 2003 in honor of his 35th birthday. A biography and account of the circumstances that led to his death and the aftermath are available online. It is an appropriate song for the occasion. Prior to the start of the song the pictures of the victims who were killed trying to cross the Berlin Wall from 1969 through 1989 were shown on a giant outdoor screen. Walking through the Berlin Wall Memorial and listening to the names of the victims and seeing them is a powerful experience that all who visit the German capital should experience. Google made public a video on the 25th anniversary showing where pieces of the Berlin Wall have been placed around the world and in Miami a piece of the Berlin Wall was unveiled in a ceremony at Miami Dade College in Downtown Miami.